The bathroom is one of the most relaxing and comforting spaces in your home. Where you can wind down after a long day of work and escape the stress around you. When areas in your bathroom detract from it’s comfort or functionality it is time to consider a remodel. Due to the limited space of bathrooms, it is imperative to maximize its use and design. 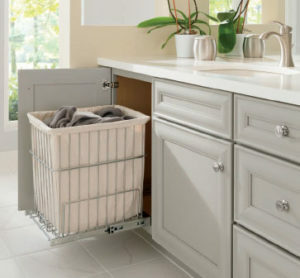 By providing a wide variety of cabinets, counter tops and accessories, Berger hardware can assist in organizing the project management of any Bathroom remodel. The bathroom of your dreams is only a click away. 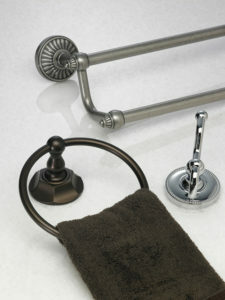 Berger offers and displays many brands of bath hardware and accessories. Berger is known in San Diego as a trusted partner to architects, designers, contractors, builders and the general public over the years. Stop by our showroom and check out the variety of bathroom hardware and accessories. Berger Hardware is San Diego’s ‘one stop’ shop that provides professional design and project management for bath cabinets. 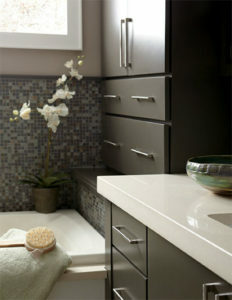 Our showroom has a full selection of cabinet styles, artistic finishes and decorative hardware for you to choose from. Our cabinet selection includes all the top brands to fit any and all budgets. At Berger Hardware we assist in making your bathroom remodel design process easy. The bathroom vanity can be the focal point of your entire bathroom, providing both style and function. We offer design ideas and assistance in selecting the right bathroom vanity for your home. 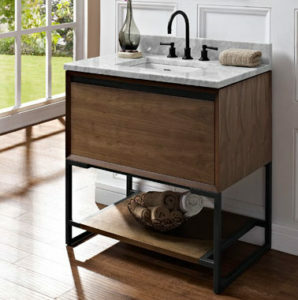 Bathroom vanities can range from traditional to ultra-modern, and everything in between. The friendly helpful staff can customize cabinets in specific door styles, wood species, and stains to perfectly fit your new vision. In addition, Berger Hardware also has ready-made options that can transfer across varying design styles. Our staff can help you navigate through the complete process and accomplish the precise look and feel you’re after.